Soothing comfort every body loves! 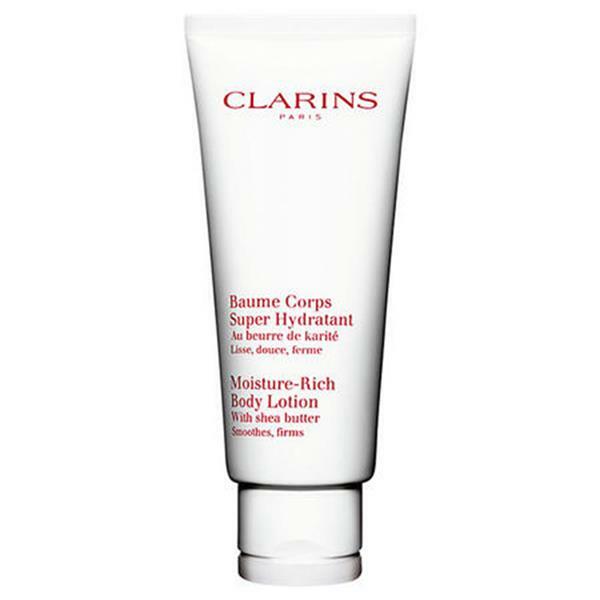 Clarins’ moisture-replenishing lotion with Peach Milk, Shea, Candlenut Oil and Orange Blossom; visibly minimises the signs of ageing caused by sun, cold, heating and air-conditioning. Helps smooth dry, rough patches and improve skin tone. Gently removes dull, flaky cells for a youthful, all over glow. Quickly absorbed. No need to wait before dressing.